6205-9.40 Energy Fm Via Euro Radio Dance Music Sinpo 54444. Please Email: hriradio@gmail.com Thank you! for fun. Its a private owned TX in Ireland. Energy FM - Tenerife's Non Stop Party Station! repeated Saturday March 19th at 09 - 10 UTC on 9510 kHz. Saturday March 26th at 13 - 14 UTC a different programme via Hamburger Lokalradio on 7265 kHz. 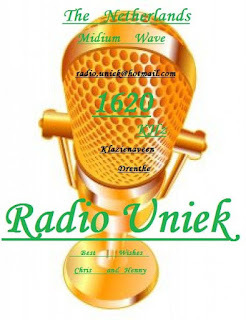 (during "summer time" period at 19 - 20 UTC) on 1485 kHz. 5835-18.18 Laser Hot Hits Fiction Factory, Human League And Black Sinpo 54444. Relay Or Own Tx? 6950-19.15(usb) Mike Radio Jean Michelle Jarre" oxygen" Ids And Thank You's Sinpo 54444. Closed Down Not Long After. 5835-8.55 Laser Hot Hits Jennifer Rush" ring of ice" and The Searchers" dont throw your love away" Sinpo 54444. Good Clear Frequency. On Sunday March 20th FRS-Holland will hit the SW airwaves. 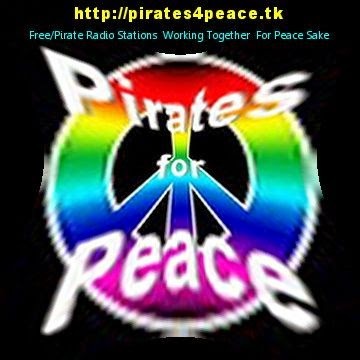 Programmes that day will last all day and start at 08:52 UTC/ 09:52 CEST with no less than 5 hours of music and information.FRS will offer you a varied offer of progarmmes and no doubt it will be worth while to tune in our way. For more detailed information surf to [www.frsholland.nl]. reports) is our reward and thus very important. Without support the motivation to produce an FRS Sunday with all the ingredients would be much less. It's the listeners (that's also you!!) keeping us going...please keep that in mind. We'd shortly like to focus on the subject ofreception reports. In recent months we have been aware that there's a great difference in the quality of reports. that we very much like to issue our QSL cards but not in case reports are incomplete! In this way we would refer to [https://en.wikipedia.org/wiki/Reception_report]. It's very simple! Especially some of the listeners should be aware that details doesn't mean 'presenter' or 'pop music' but the name of the presenter, show and record/artist. Thanks for reading this mail...we very much hope to 'meet' you on Sunday March 20th on the short wave bands!! More at: http://​www.​channel292.​de/​schedule-for-bookings/​ for last-minute additions as well as next week's schedule in advance. Hobart Radio International is a shortwave community service relayed across Europe, North America, South America and New Zealand and features the The Buzz and In The Zone shows!